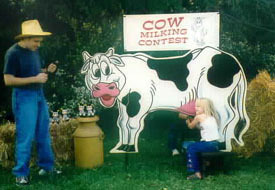 Not renting this Cow Milking Contest for your next western themed event would be a real MOOstake! 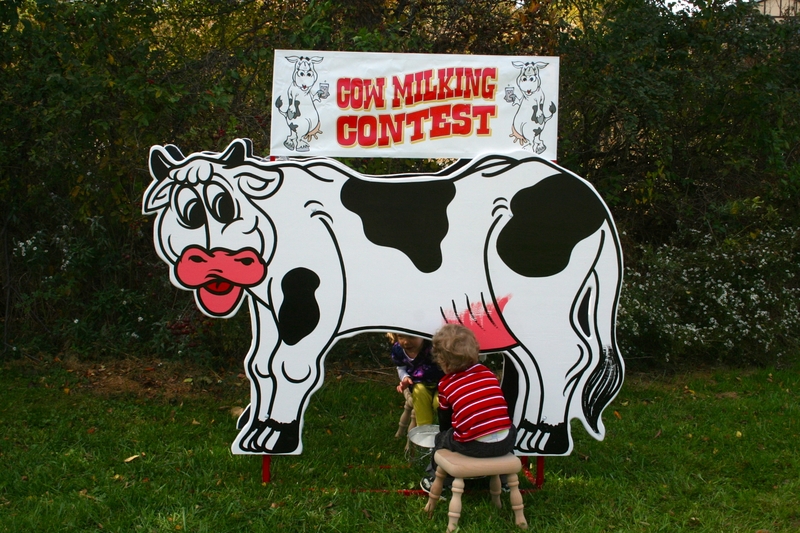 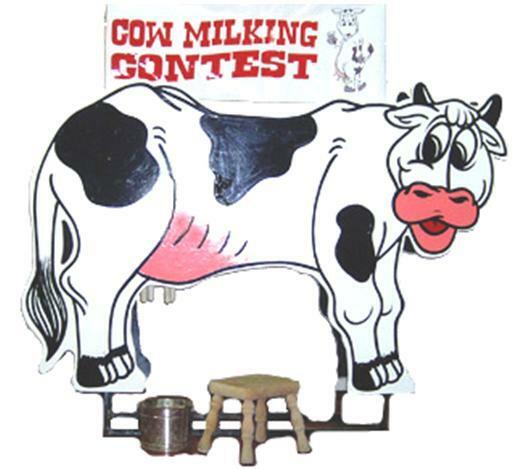 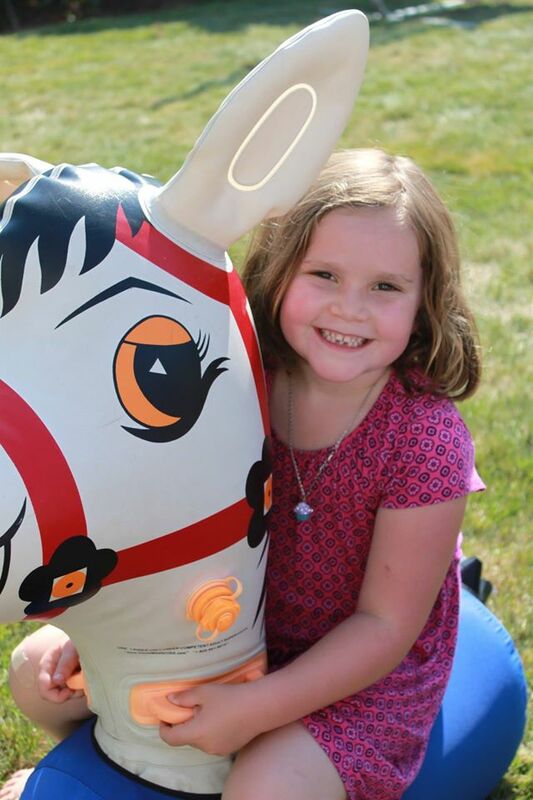 Our double-sided Cow Milking Contest allows two players at a time to compete to see who is the ultimate cow milker! 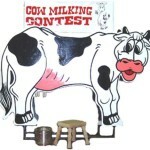 The player that fills their bucket with the most milk within a pre-determined amount of time is the winner. 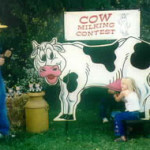 The rental includes the cow milking cut-out, a measuring cup, two pails, two stools, a timer and dye for water to make the “milk”.